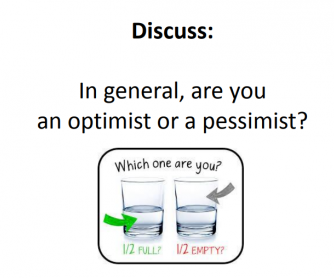 A discussion activity designed to bring out the best (and worst!) in your students. Place students in two lines facing each other and then project the presentation onto your IWB. 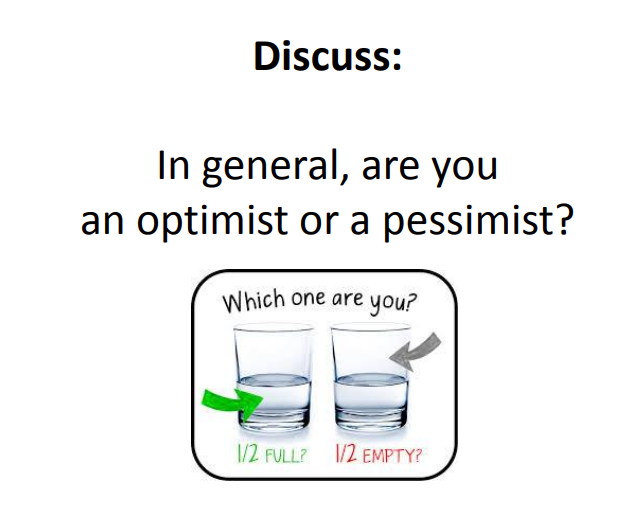 Students take turns being the pessimist or the optimists and share with their partner how they feel about each situation. Don't forget to switch partners after every statement.